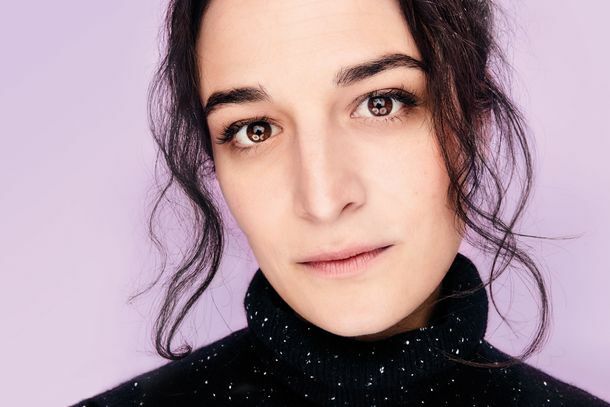 Getting Deep With Jenny Slate at SundanceThe actor, comedian, and writer on her new film, The Sunlit Night, and her year of radical change. 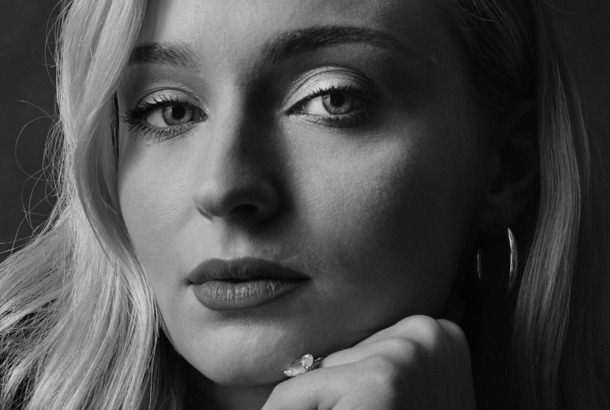 The Faces of New York Comic Con 2018Vulture welcomed Sophie Turner, Jenny Slate, Jon Hamm, and more to our photo studio. Fox Developing New Animated Show Called The Great North From Bob’s Burgers TeamThe project will feature the voice acting talents of Nick Offerman, Megan Mullally, Will Forte, and Jenny Slate. Exclusive: Meet the 10 Guests of Hotel ArtemisFeaturing an emasculated arms dealer and the world’s leading assassin. Hotel Artemis Trailer: Jeff Goldblum, Sterling K. Brown, Jenny Slate Check InDo they take points at this hotel-hospital for criminals? Jenny Slate and Chris Evans Have Broken Up Again (Again)Tear emoji. Jenny Slate Got Her Big Break With the Help of Gloria Estefan and a PsychicMaybe we all need a psychic in our life. Jenny Slate Is Just Like Seinfeld’s Elaine Benes in LandlineHer new movie is chock-full of mom jeans, pay phones, and complicated women. See Jenny Slate Dance As a California Raisin in This Exclusive Landline ClipEdie Falco, Jenny Slate, and Abby Quinn are a great mother-daughters trio. Landline Trailer: John Turturro’s a Cheater and Jenny Slate Knows ItLandline opens in select theaters on July 21. 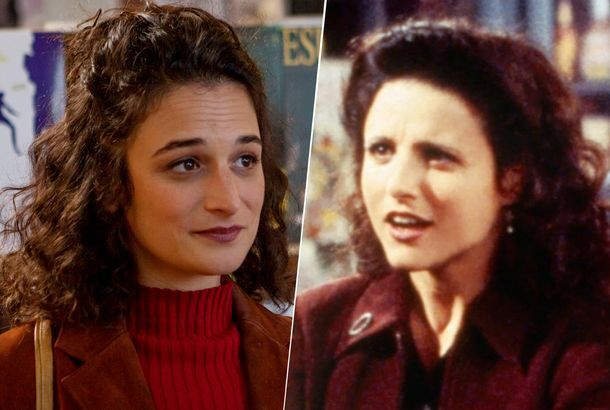 The 25 Best Girls Guest Stars, RankedFrom Jenny Slate to Shiri Appleby. Review: Gifted Is Advanced in Cuteness, Only Proficient in Everything ElseA hokey third act derails this domestic drama. Bittersweet Chris Evans-Jenny Slate Moments in Gifted, RankedArt imitating life imitating art. Jenny Slate Talks About Her Breakup With Chris EvansShe’s got two new films and a new home and, oh, by the way, she’s fresh off a split with Captain America. 133 Famous Faces From Vulture’s Studio at the Sundance Film FestivalJon Hamm, Elizabeth Olsen, Kumail Nanjiani, and many more. 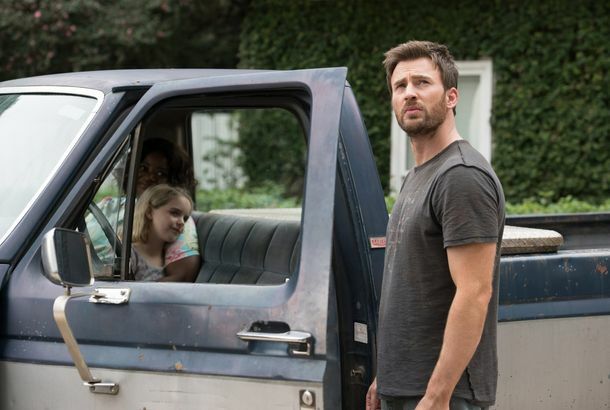 Watch Chris Evans in the Gifted TrailerGifted premieres April 12, 2017. Nathan Fielder Stars in the New Web Series DavidUh-oh, King of Trees. Never an auspicious card. My Blind Brother Trailer Has Parks and Rec AlumsAdam Scott, Jenny Slate, and Nick Kroll star. Jenny Slate on the Horrible Day She Got Her Dog His name is Reggie. His teeth number seven. Watch the Trailer for Hulu’s JoshyCo-starring Adam Pally’s amazing hair. Jenny Slate, Obvious Child Duo to Make Next FilmCo-starring John Turturro and Edie Falco. Ellen Page, Jenny Slate Unpack Their AwkwardnessBecause if you were cool in high school, what would you talk about on late-night shows as an adult? Watch Jenny Slate and Gabe Liedman in the Hilarious Return of ‘Bestie X Bestie’They each have perfect catchphrases now. Jenny Slate Is Pawnee-BoundAs Jean-Ralphio’s sister. Jenny Slate Hired to Write Looney Tunes FilmAnd the word reboot is being thrown around. Jenny Slate Joins CBS Sitcom From Bridesmaids’ Rebel WilsonAs one of Rebel Wilson’s dorky BFFs. Watch Brian Williams Interview Marcel the Shell (and Jenny Slate and Dean Fleischer-Camp)Brian Williams went to Brooklyn, met Marcel the Shell.